That amazing album title, The Free Poetics of Henrique Eisenmann, reads like a critical study of an early 1950s Black Mountain poet, and connotes a similarly experimental and interdisciplinary philosophy. Henrique Eisenmann is a pianist and composer with Brazilian heritage in his blood and New York City in his heart. Alongside these twin influences, The Free Poetics takes inspiration from unusual fields, bringing together polyrhythms and plain chant, voices and animal noises, poetry, folklore and history, in a closely sequenced journey from the weird to the wonderful. On Niños Peruanos (Introduction) the pianist improvises over a recording of a six-year old Peruvian boy reciting a poem in Spanish. You might have seen this sort of thing on YouTube when a musician transcribes someone talking and then plays along with it, usually for comic effect. Eisenmann takes a free approach with a joyous relish in finding the simple melodic essence inside the spoken word. Jeneupti is a spirited accompaniment to another recording, of a Ghanaian girl singing, with chords derived from Charles Ives’s 1919 song Serenity and free extrapolations and lovely cadences. Dans un Fracas De Plumes (Birds) conveys observations of the similarities between birdsong and free jazz playing, unabashedly melodic at times but unmoored to traditional tonality and unafraid to launch into fanciful flights. Epilogue - Pifanos, the last of the album’s engagingly weird moments, finds a brooding march-time beneath increasingly claustrophobic sixteenth-note whistling. Longer compositions demonstrate this quartet album’s lightness and depth, played with intensity and intent, unafraid of spiky chromaticism yet always bright and good-humored. Zurich is a sprawling work by Brazilian composer Hermeto Pascoal, ranging from nagging ostinato figures to sonorous thematic statements with moments of luminous balladry and chirruping melodic figures, with exciting left-field musical conversations between Eisenmann and soprano saxophonist Gustavo D’Amico, supported by the able polyrhythms of Peruvian-born bassist Jorge Roeder and Brazilian Rogério Boccato’s ‘creative percussion’ set including kitchen utensils, frame drums, bells and clacky things. Anthrophagy (which means Cannibalism) is a redigestion of Charlie Parker’s Anthropology slowed down by a factor of six. It’s one of the album’s most luminously reflective moments. The piquant Sarabande No 2 grows from solo thoughts into delicately gathered group playing applying jazz expressions to an old Spanish triple-time dance form. Zumbi (named for a 17th-century Brazilian warrior who resisted slavery) has a mysterious feel with ancestral rhythms and expansive chords. 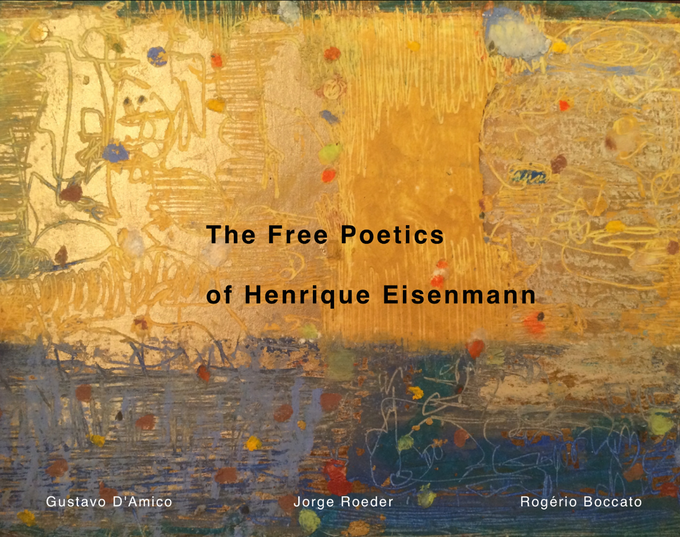 The Free Poetics is eclectic in inspiration, but unified by the distinctive, intriguing vision of Henrique Eisenmann seeking, wherever inspiration may lead, the elusive soul of art.